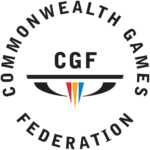 The ‘Commonwealth Games’ is an ‘International Multi-Sport Event’ involving athletes from the ‘Commonwealth of Nations’. The present & the 21st ‘Commonwealth Games’ is being held in Gold Coast, Queensland in Australia, from 4th to 15th April 2018. The ‘1911 Inter-Empire Championships’, opened by King George V was held at London, hosted by England, from 12th May 1911 to 1st June 1911. Though, it might be treated as a ‘Precursor’ to the ‘Commonwealth Games’, it is not an ‘Official Edition of the Commonwealth Games’. 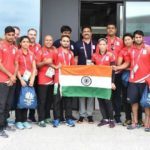 The United Kingdom had participated in the event as ‘One Country’, whereas, in the ‘Commonwealth Games’, the Nations of the United Kingdom, have been participating as separate countries of: England, Wales, Scotland and Northern Ireland. The First Edition, opened by Viscount Willingdon, was held at Hamilton, hosted by Canada, from 16th August 1930 to 23rd August 1930. The Second Edition, was held at London, hosted by England, from 4th August 1934 to 11th August 1934. The Third Edition, opened by Lord Wakehurst was held at Sydney, hosted by Australia, from 5th February 1938 to 12th February 1938. The 1942 event scheduled for the year 1942, to be held at Montreal, hosted by Canada was cancelled, due to World War II. The 1946 event scheduled for the year 1946, to be held at Wales Cardiff, hosted by Wales was cancelled, due to World War II. 4. The Fourth Edition, opened by Sir Bernard Freyberg was held at Auckland, hosted by New Zealand, from 4th February 1950 to 11th February 1950. 5. The Fifth Edition, opened by Earl Alexander of Tunis was held at Vancouver, hosted b Canada, from 30th July 1954 to 7th August 1954. 6. The Sixth Edition was held at Cardiff, hosted by Wales, from 18th July 1958 to 26th July 1958. 7. The Seventh Edition, opened by Philip, Duke of Edinburgh was held at Perth, hosted by Australia, from 22nd November 1962 to 1st December 1962. 8. The Eighth Edition, opened by Philip, Duke of Edinburgh was held at Kingston, hosted by Jamaica, from 4th August 1966 to 9th August 1966. 9. The Ninth Edition, opened by Philip, Duke of Edinburgh was held at Edinburgh, hosted by Scotland, from 16th July 1970 to 25th July 1970. 10. The Tenth Edition, opened by Philip, Duke of Edinburgh was held at Christchurch, hosted by New Zealand, from 24th January 1974 to 2nd February 1974. 11. The Eleventh Edition, opened by Queen Elizabeth II was held at Edmonton, hosted by Canada, from 3rd August 1978 to 12th August 1978. 12. The Twelfth Edition, opened by Philip, Duke of Edinburgh was held at Brisbane, hosted by Australia, from 30th September 1982 to 9th October 1982. 13. The Thirteenth Edition, opened by Queen Elizabeth II was held at Edinburgh, hosted by Scotland, from 24th July 1986 to 2nd August 1986. 14. The Fourteenth Edition, opened by Prince Edward was held at Auckland, hosted by New Zealand, from 24th January 1990 to 3rd February 1990. 15. The Fifteenth Edition, opened by Queen Elizabeth II was held at Victoria, hosted by Canada, from 18th August 1994 to 28th August 1994. 16. The Sixteenth Edition, opened by the King Tuanku Jaafar was held at Kuala Lumpur, hosted by Malaysia, from 11th September 1998 to 21st September 1998. 17. The Seventeenth Edition, opened by Queen Elizabeth II was held at Manchester, hosted by England, from 25th July 2002 to 4th August 2002. 18. The Eighteenth Edition, opened by Queen Elizabeth II was held at Melbourne, hosted by Australia, from 15th March 2006 to 26th March 2006. 19. The Nineteenth Edition, opened by Mrs.Pratibha Patil, the then President of India was held at Delhi, hosted by India, from 3rd October 2010 to 14th October 2010. 20. The Twentieth Edition, opened by Queen Elizabeth II was held at Glasgow, hosted by Scotland, from 23rd July 2014 to 3rd August 2014. 21. The Twenty First / Present Edition, opened by Charles, Prince of Wales, is being held at Goal Coast, hosted by Australia, scheduled to be held from 4th April 2018 to 15th April 2018. The 2022-Twenty Second Edition has been scheduled to be held at Birmingham, hosted by England, has been scheduled to be held from 27th July 2022 to 7th August 2022. For the 2026- Twenty Third Edition, the hosting country, venue, and dates will be decided by the Process of Election in the year 2019, ‘To Be Announced’ (TBA).